PARIS --- A direct confrontation has flared up between German Minister of Defense Ursula van der Leyen and Finance Minister Olaf Scholz, as the former wants significantly more money during this legislative term to fix the armed forces’ most urgent capability gaps, and threatens to pull out of two major international weapon programs if she doesn’t obtain it, Bild Am Sonntag reported on Sunday. The Defense Minister, a member of Merkel’s CDU party, wants to award 18 armaments contracts this year, each worth over 25 million – the threshold over which approval from the Bundestag is mandatory – as well as €12 billion in additional funding over the duration of the current legislature. 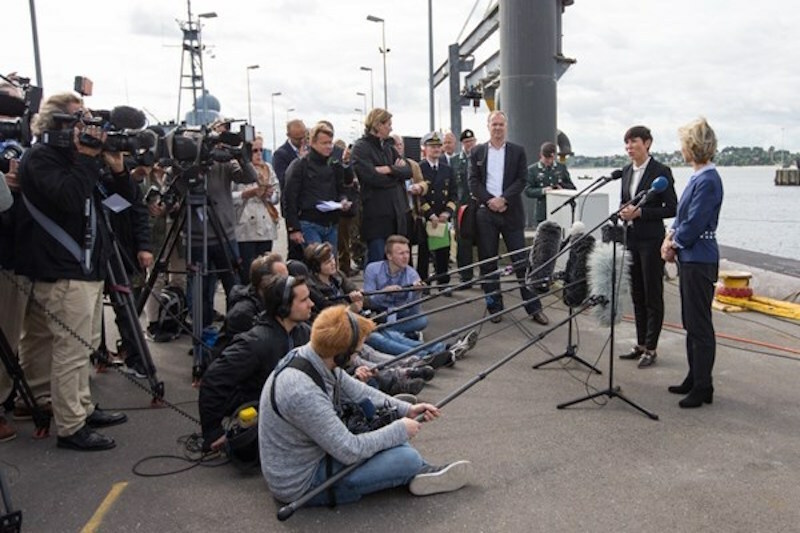 However, this is opposed by the Federal Finance Minister Olaf Scholz, a member of coalition partner SPD party, "Bild am Sonntag" reported April 29, as his financial plan for the next five years foresees an increase in defense funding of only 5.5 billion euros by 2021. The Defense Ministry had already criticized Scholz's plan on Friday as "inadequate in view of the huge accumulated needs and required modernization, particularly in the medium term," Deutsche Welle radio reported Sunday, and Leyen is threatening to pull out of at least one, and possibly two, major international cooperation projects unless she obtains the additional funding. For 2019, the Finance Ministry has offered an additional 1.7 billion for weapons and investments, while the defense ministry wants €3 billion, as well as an extra €4 billion in 2020 and €5 billion more in 2021. The 2019 budget will be voted by the Bundestag in the autumn. Leyen has already selected the programs she would cut, according to Bild Am Sonntag, including the politically-sensitive joint submarine procurement with Norway, the keystone of defense cooperation between the two countries, and the acquisition of six Lockheed Martin C-130J turboprop transport aircraft for German special forces, which are to be operated by a joint French-German squadron. The submarine program calls for Norway to order four boats from ThyssenKrupp Marine Systems, for 4.3 billion euros, while the German navy would order another two, armed with the Norwegian Kongsberg Naval Strike Missile. A German withdrawal would likely cause Norway to cancel its own order, bringing a heavy political cost in Germany’s domestic politics due to the ensuing job and export losses. The second program is militarily and operationally sensitive, as the joint French-German C-130J squadron is heavy in political symbolism as well as being a cornerstone of military capabilities as it is intended to support both countries’ special forces. Even more crucially, some of the C-130Js will be procured in a tanker-capable version, which alone will be able to refuel helicopters in flight until the technical issues that prevent the Airbus A400M transport aircraft from in-flight refueling are fixed. The Bundeswehr Association had previously demanded an increase of the defense budget by 15 billion euros in the current legislative period, Die Welt reported Sunday, adding that criticisms of the equipment and operational capabilities of the Bundeswehr had become prevalent in recent months.